The Zionist Organization of America (ZOA) has pointed to Mahmoud Abbas’ Fatah-dominated Palestinian Authority (PA) condemning a US-sponsored draft resolution at the United Nations General Assembly (UNGA) condemning Hamas aggression and terrorism against Israel in the form of rocket attacks. This is the first UN draft resolution of its kind which seeks to condemn the terrorism and aggression of groups attacking Israel. Usually, UN resolutions have focused exclusively on condemning Israeli acts of self-defense launched in response to these terrorist attacks. The UNGA is due to vote on the US-drafted resolution on Tuesday. All 28 European Union countries have agreed to support the resolution. Fatah’s opposition to the US draft resolution is simply in accord with Abbas’ long-standing support for terrorism and glorification of its practitioners. Osama Qawassmeh, a spokesman for Abbas’-dominant Fatah faction of the PA and member of Fatah’s so-called ‘Revolutionary Council,’ said that Fatah is totally opposed to American and Israeli efforts to brand Hamas organization. 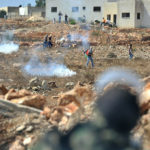 (Hamas has been responsible for thousands of terrorist attacks upon Israel, over 10,000 rockets fired from Hamas-controlled Gaza into Israel since the group seized the territory from Fatah in 2007, as well as scores of suicide bombings and other assaults which have claimed the lives of over 1,000 Israelis and the wounding and maiming of thousands more). Another senior Fatah official, Abbas Zaki, a former PA ambassador, also vowed to thwart the US resolution, dubbing it “racism par excellence.” (Zaki has publicly supported the so-called ‘two-state solution’ only because he believes it will cause Israel to collapse, has described the US as an “enemy country,” openly supported suicide bombing attacks on Israeli civilians and championed the Palestinian dual policy of negotiations alongside continued terrorism. A ZOA compilation of vicious statements by Abbas Zaki can be found here). Zaki said, “If Hamas, which is practicing resistance, is labeled a terrorist movement, this would mean that all Palestinians practice terrorism … Hamas belongs to us and we belong to Hamas. We can’t leave Hamas to fight alone” (Khaled Abu Toameh, ‘Fatah: Hamas is not a terrorist group,’ Jerusalem Post, December 2, 2018). ZOA National President Morton A. Klein said, “The ZOA totally supports the US resolution to condemn Hamas’ terrorism against Israel, a resolution not only vastly overdue in the history of the UN, but one also badly needed in view of the fact that Hamas not only carries out war crimes and terrorism against Israel, but does so pursuant to an ideology, spelt out in its Covenant, that calls for the world-wide murder of Jews. “The UNGA could do nothing more appropriate and morally correct in the circumstances than resolving to condemn this genocidally-minded terrorist organization. 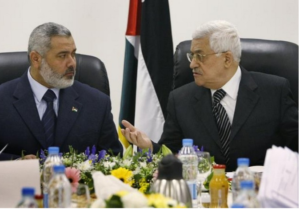 “How unsurprising, therefore, that Mahmoud Abbas’ Fatah-controlled PA is opposed to the condemnation of Hamas’ terrorism, despite its own blood-stained conflict with Hamas. When it comes to murdering Jews, however, Fatah and Hamas are in accord. 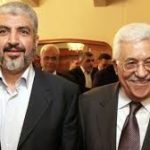 “Fatah’s opposition to the US draft resolution is simply in accord with Abbas’ long-standing support for terrorism and glorification of its practitioners; his refusal to condemn terrorists whom he calls ‘freedom fighters’ and ‘strugglers’; his paying of salaries to jailed terrorists and stipends to the families of dead terrorists in proportion to the amount of Jewish blood the have shed; and his support for the campaign of stabbing and car-ramming of Israeli Jews. “Abbas and Fatah’s reaction to the proposal to condemn Hamas’ terrorism against Israel is a timely reminder of the Fatah/PA’s own support for terrorism against Israeli Jews.